Start your career in sales, marketing and customer experience consulting. CPI is an Antwerp based consultancy that helps companies to futureproof sales, marketing and customer experience. We are known to explore the limits of technology, create disruptive business strategies and develop flashy brand images and remarkable campaigns. We boldly go where no one has gone before. Be the worldwide one stop shop for every CEO who wants to keep up to speed in a continuously changing world. We are on the fast track to build our business from 25 to 60 people in the following 3 years. We are looking for masters in innovative thinking on web architecture and technical solutions. With management skills to lead dev teams. We are looking for bright analytical minds with superior reasoning capability and understanding of traditional and disruptive business models and selling processes. We are looking for out of the box thinking creatives with balls (m/f/x) who can create mind-blowing designs for websites, campaigns and advertising. As an Allround Web Developer at CPI you will start your day with a good cup of cafeine. Your main duty is to coordinate website development projects for B2B and B2C clients. You will have to think about innovative web architecture and techincal solutions, define dev specs and follow-up on front and back-office development with our WordPress and static website teams in Ukraine. You will work on a daily basis with our Creatives, Project Managers. Consultants, Tech Advisors and Growth Hackers. 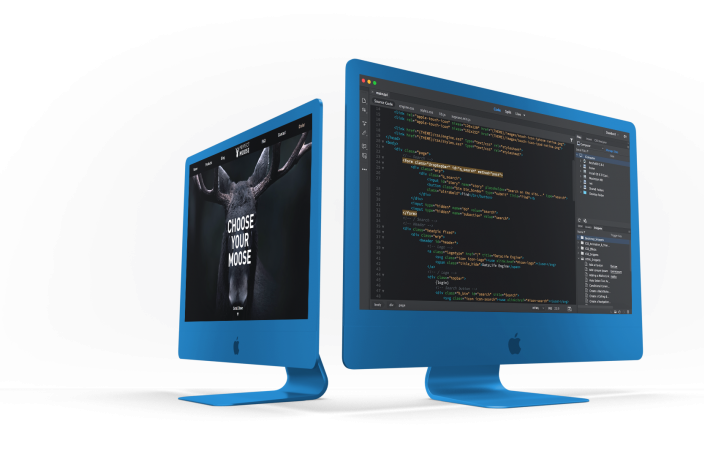 When push comes to shove you can jump in and write that missing code, debug that essential simulator or add a dazzling effect to turn a website into prize winning stuff. Will you be our new webstar? You have knowledge in databases like MySQL and MongoDB (noSQL). You know how to connect back-end with front-end. You have experience with WordPress, Headless CMS and static website generators. You are passionate in writing code. You have an eye for detail and design and you are aware of the latest technological and design trends. You have management skills to lead international dev teams. You communicate easily with clients in Dutch and English. You are open to learn and use new tools. You like to drink the occasional glass of Gin at our Team/Gin Fridays. We are looking for wordsmiths that can write inspriring copy for B2C and B2B clients and have the power to make customers smile and nod at every interaction. bots make better business decisions. We are looking for eager interns and job students in the field of Marketing, Consultancy, Data Management, Project Management, Web Development, Video Production, Graphic Design and Technology Consulting. Full-time job in Antwerp at Het Eilandje close to the MAS. Operate on payroll or work as a freelance contractor. Possibility to visit events and workshops. Follow courses to extend your knowledge to the next level. Awesome open-minded colleagues with lots of creativity and knowledge. Team Fridays with Gin tastings. As a Copywriter, aka wordsmith, at CPI your main duty is to write flawless and powerful lines for B2B and B2C clients in all kind of industries. You work closely with our Creatives, Project Managers, Graphic Designers, Campaign Managers and Developers to brainstorm and create copy for websites, brochures, email campaigns and social media posts without making a typo. You are able to write copy in Dutch and English and can oversee translations into French, German, Spanish and Italian and the occasional Mandarine Chinese. Writing blog posts is something that you'd love to do! You think of new ideas and develop the blog posts with the correct keywords to toprank in Google. Will you be our new Wordsmith? You have 2-5 years of experience as a copywriter with B2B and B2C sectors. You have a good understanding of the technical working of stuff as many of our clients are active in the mechnical engineering and production industry. You are a creative thinker able to develop innovative content that makes customers smile and nod at every interaction. You speak and write fluently in English and Dutch. You have professional knowledge of French and possibility German. You have understanding of search engine optimization techniques and tools. You are empathetic and can adapt your texts to different target groups. You have excellent copy-editing skills. You are able to multi-task and work under pressure in a fast-paced environment with pressing deadlines. You are proficient with MAC and PC. You are open to learn and work in new tools. You know how to spell G-I-N when you drank 3 of them. Cash in your account, a second screen and lots of the work stimulating substance named coffee. Part-time job in Antwerp at Het Eilandje close to the MAS. Challenging and varied projects for a broad range of customers. Attend courses to extend your knowledge to the next level. We are looking for wordsmiths that can write inspriring copy for B2B and B2C clients and have the power to make customers smile and nod at every interaction and move swiftly to push the buy button. 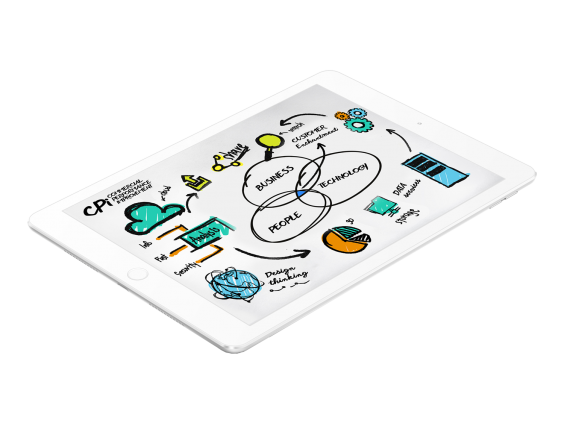 As a bright analytical mind at CPI your main duties are researching best practices and frameworks for commercial excellence, participating in problem solving sessions, recommendation development, creating flashy slide decks with recommendations, conducting workshops and managing client contacts. You are continuously learning new technologies, methods, tools and strategies related to sales, marketing, customer service and customer enchantment. That will help you and our clients to the next level of innovation and Future Proofing. You will be trained on the job by top-notch CPI-consultants and will be taken through a structured competence development program that covers all elements of the CPI Disruptive Selling methodology. You will travel within Europe with occasional trips to the US and Asia. 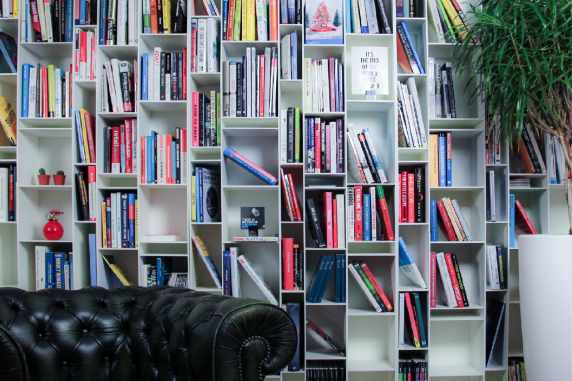 Will you be our new Junior Business Consultant? You have a diploma in Applied Economics or Commercial Engineering. (But we are open to look in to candidacies from any field of study that prepares for complex problem solving). 1 or 2 years work experience in the field of Sales, Marketing or Consulting. You are crazy about technology and innovation in particular in Sales, Marketing and Customer Service. You have some experience with CRM, ERP and data management. You have admirable communication and presenting skills in Dutch and English. French and/or German is a plus. Any other language is a bonus. You have a bright analytical mind, understanding of new business models and attention to detail. You always have a suitcase ready to travel. You can pick the right gin and the right tonic out of the thousands to mix the perfect Gin-Tonic. €€€ and lots of coffee. "what else?" Possibility to travel for work. Work together with top creatives, technologists and project managers. Potential to move to a senior function rapidly. As a Data Analsyst at CPI your main duty is to make information available to support business processes for our clients. You will gain knowledge of business modelling concepts, identify information needs and translate data into captivating insights to help your colleagues, clients and bots make better business decisions. You will work closely with our Business Consultants to identitify opportunities for improved data analysis and improved data effciency. You will design strategies and frameworks for data management and reporting. You will integrate concepts of statistics, machine learning and AI into your projects. Will you be our new Data Analyst ? Competitive remuneration and a lot of George's coffee. "what else?" Work in Antwerp at Het Eilandje close to the MAS. Operate as a contractor free to work for other companies and clients. Possibilty to travel for work. Work together with top creatives, technolgists and project managers. We are looking for specialists in translating data into captivating insights to help people and bots make better business decisions. You hold a Master's degree in a relevant field such as statistics, computer science or applied mathematics, physics or business engineering. You are a creative, result-oriented and quality-driven person. You have good social, communication and presentation skills, and are able to adapt to different types of environments and audiences. You know tools like CDP, DMP, Hadoop, Spark, SPSS, Tableau and Qlik. You are fluent in English and Dutch. French and German are additional assets. You are comfortable with manipulating and analyzing complex, high-volume, multidimensional data from diverse sources. You know how to translate gin and tonic into a Gin-Tonic. As a Graphic Designer at CPI your main duty is creating mind-blowing designs for websites, apps, campaigns, advertising, social media posts, banners, moodboards and coporate identities. You use your knowledge in UI/UX to create user-friendly websites and apps that helps to convert visitors to customers. Under the direction of our Creative Director, you will work on B2B and B2C projects alongside fellow Designers, Project Managers, Growth Hackers and Consultants. Will you be our new Graphic Designer? You have a Bachelor or Master of Arts degree in Graphic Design. You have 1-3 years experience in an agency or an in-house design team. You have expertise in digital art production tools for web and print. You are a master in Adobe Creative Suite and know how to operate all the functionalties of InDesign, Photoshop, Illustrator and XD under time pressure. You have experience with responsive web design and know how to implement UX and UI methods. You understand, adhere and apply the principles of Design Thinking. You can also design an orginal Gin-Tonic in 1 minute. A nice amount of Euros in your account, a second screen and delicious coffee. We are looking for out of the box thinking creatives with balls (m/f/x) able to create mind-blowing designs for websites, campaigns and advertising. As a Eager Student, aka Eagle, at CPI you will definitely not grab coffee for your future colleagues, but serve yourself and spend maximum of time learning on the job and working with top notch professionals! You will learn about the practical application of your field of study in Sales, Marketing, Customer Service and Customer Enchantment. You will get to know different methodologies, strategies, skills and tools used to develop winning business models and creative concepts. You will work on real life projects and be involved in customer contacts and behind the scene meetings. Will you be our new Eagle? You are student in Economics, Marketing, Business Management, Data Science, Graphic Design or Information Technology. You are looking for an internship of 2 to 6 months. You are eager to learn about new concepts, strategies and tools. You are a true teamplayer. You are a perfectionist and have an eye for detail. You love to conduct background research, develop compelling slides and diagrams. You have good social skills and the ambition to build a career in consulting or advertising. You adhere to our core values of passion, modesty, chutzpah and grinta. You know how to mix a perfect Gin-Tonic (for yourself ofcourse). 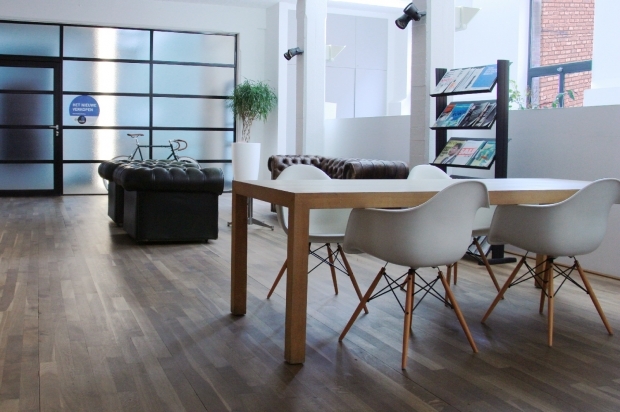 A job in a cool office in Antwerp at Het Eilandje close to the MAS. Possibility to attend internal and external courses to extend your knowledge to the next level. Participate to Team Fridays with Gin tastings. Possibility to preceed your internship with work as a job student in our work/study program. on the following 3 years. Pick the job you're applying for. Explain in 3 sentences why you are the perfect candidate.